TAKING advantage of the increasing demand for sports hijab, TudungPeople introduces the latest range under its Najwa sports collection. The latest version has gone through several changes since the brand launched the first collection in 2016. The design ensures Muslim women are able to engage in physical activities without compromising their aurat or style. The changes include using antibacterial, antimicrobial and anti-odour hypoallergenic fabric. It is also lightweight to maximise comfort. The new collections is available in two designs — shawl and instant with more than 10 colours. The instant sports hijab’s features reflective trim on front and back, a small slit for earphones and a mini awning to allow air circulation. For those who prefer their own style, the Najwa sports shawl allows them to do so. 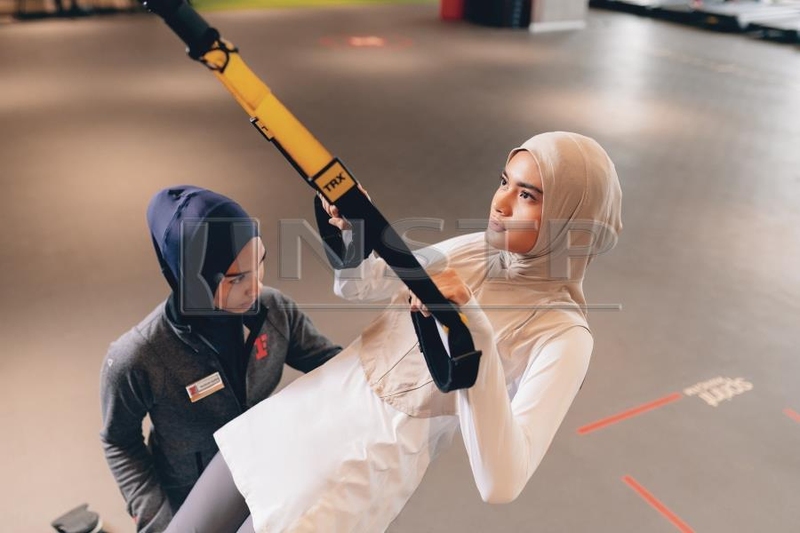 “TudungPeople is proud to be one of the forerunners in providing comfortable active wear, specifically hijab, to cater to this fast growing market. Previously, there were limited options of comfortable sports attires, and Muslim women had to make do with hijab that was not optimised for performance. Realising the gap in the market, TudungPeople decided to produce a range of affordable and performance driven hijab collection to fill the void,” says the brand in a statement.